Hedge funds are driving rapid growth in demand for securities lending in global markets. The business of lending securities is expanding rapidly, as hedge funds and investment firms seek to borrow more stocks and fixed-income securities, not only in global financial centers but also increasingly in emerging markets, to implement diverse trading strategies. At the same time, the supply of securities available for lending is increasing as more and more central banks, insurance companies, pension funds and endowments seek incremental income on their holdings by lending securities temporarily for a fee. With an estimated $2.5 trillion of securities on loan, the industry plays a significant role in the global financial system, contributing to liquidity and market efficiency, according to leading participants in the business. Mellon Financial’s earnings from securities lending rose 45% in 2005 from a year earlier and are expected to post another solid increase this year, Rulong says. 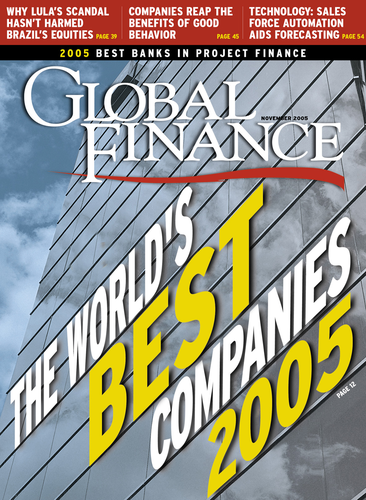 In the 10 quarters through June 2006, the market value of cash collateral investments managed by Mellon’s global securities lending group increased nearly 70% to $108 billion, and its securities on loan nearly doubled to $187 billion. Securities lending is a relatively safe way for institutional investors to boost their returns, since the borrower puts up collateral to guarantee repayment. The lender typically engages a lending agent, usually a bank, to temporarily lend securities from its portfolio to a broker or dealer and to manage the collateral that the borrower puts up. The borrower uses the borrowed securities to support its own trading activities or those of its clients, particularly hedge funds. These activities can include short selling and margin trading, as well as covering failed trades. Including its joint ventures with ABN AMRO and CIBC, Mellon has about $250 billion of securities on loan and has access to about $1 trillion in lendable securities. Lending markets in central Europe, the Middle East and Asia are developing rapidly, Rulong says. Mellon is looking to expand its business to Taiwan, Turkey, Israel, the Czech Republic, Hungary and Poland, she says. Taiwan recently liberalized its market, Van Grinsven says, and India, which has had a lending market for some time, is trying to make it easier to operate in the market by simplifying regulations and tax treatment related to the exchange of ownership, he notes. Central and eastern Europe is one of the fastest growing areas for lending, along with Asia, according to Van Grinsven. Northern Trust recently began offering securities lending in the Czech Republic. The bank provides lending services in 47 equity and fixed-income markets in 27 countries and has between $225 billion and $250 billion in loans outstanding. Northern Trust’s securities lending group has trading offices in Chicago, Hong Kong, London and Toronto. Jeff Benner, senior vice president and head of North American trading, says a portfolio of small-capitalization stocks or high-yield bonds can have more value for lending than securities that are more readily available. “Spreads are wider in the emerging markets because of the limited supply,” Benner says. “If you are the first to enter a particular market, you can extract more value,” he says. Spreads are also influenced by M&A; activity, which generates trading and demand for specific stocks. The California Public Employees’ Retirement System (CalPERS), the largest pension fund in the United States, auctioned exclusive borrowing rights on approximately $76 billion in US equities in May. Citigroup Global Markets won the majority of the assets and will retain exclusive borrowing rights to these portfolios for the term of the agreement. Goldman Sachs, JPMorgan and Lehman Brothers also won exclusive rights to access portions of the funds. In addition, CalPERS awarded a part of the US equity assets to Los Angeles-based Metropolitan West Securities to lend on an agency basis. In June CalPERS extended its contracts for external securities lending managers MetWest and Boston-based State Street Bank & Trust. CalPERS earned more than $129 million from its lending program in its fiscal year ended March 31, 2006. That was in addition to the benefits of owning the securities, including dividends and interest. Paul Lynch, senior vice president for securities finance at Boston-based State Street, which is the largest lender in the world, says there is growing supply as well as demand for securities lending. State Street has more than $500 billion of securities on loan in more than 35 markets around the world. “This is one of our core businesses,” he says. “Although emerging markets offer enhanced returns, the risks of investing in these markets and the increased cost of due diligence to mitigate that risk needs to be taken into account,” Lynch says. There likely will be further consolidation of the industry, he says. “This is an expensive business to be in due to the cost of the required intellectual capital, technology and infrastructure,” he notes. Citigroup plans to introduce a new client-reporting capability as part of its proprietary online securities lending system. “The system provides an excellent window into lending and performance for our clients,” Douglas says.